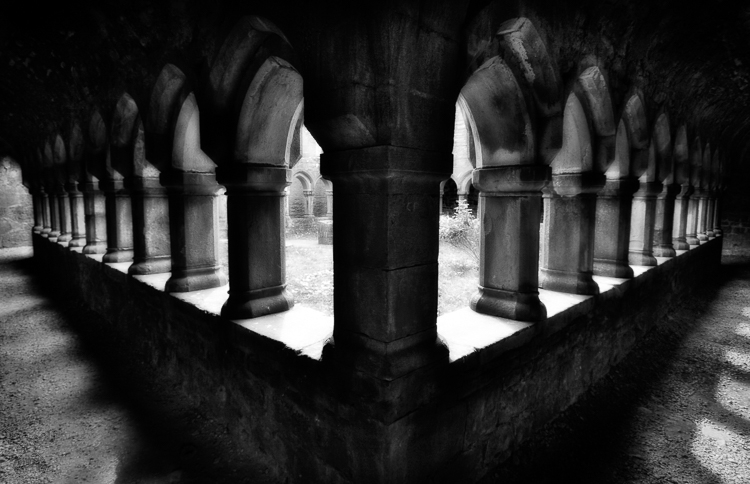 The cloister in the decayed Moyne Abbey. The 12mm wide-angle lens was perfect - not only for featuring both isles at the corner, but also to add an unsual perspective. Another picture of the "Ireland in BW" series, which fits perfectly the graphical setup.